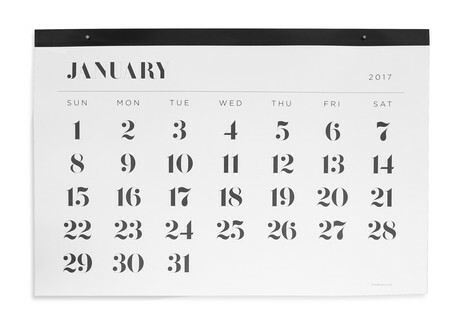 Browse our calendar options below! Looking for an agenda instead? Choose an agenda as the inside page option in your NOTEBOOK! -Alternates colors between white, blush, and black. -Vibrant, May Designs original patterns. -The stack of cards fit perfectly on the clear easel for a super polished look! 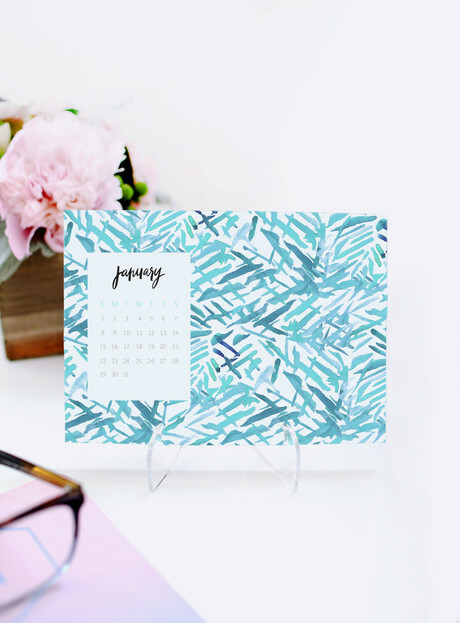 -Reuse the calendar by turning each page into a note! 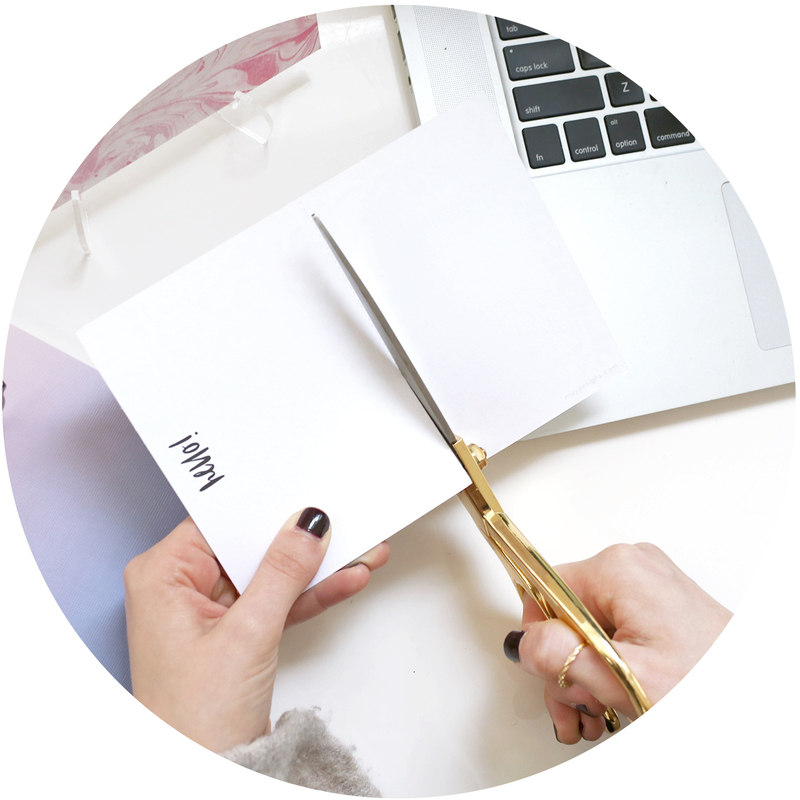 After the month is over, flip over the card, cut along the dotted line, and write a note to a special someone. 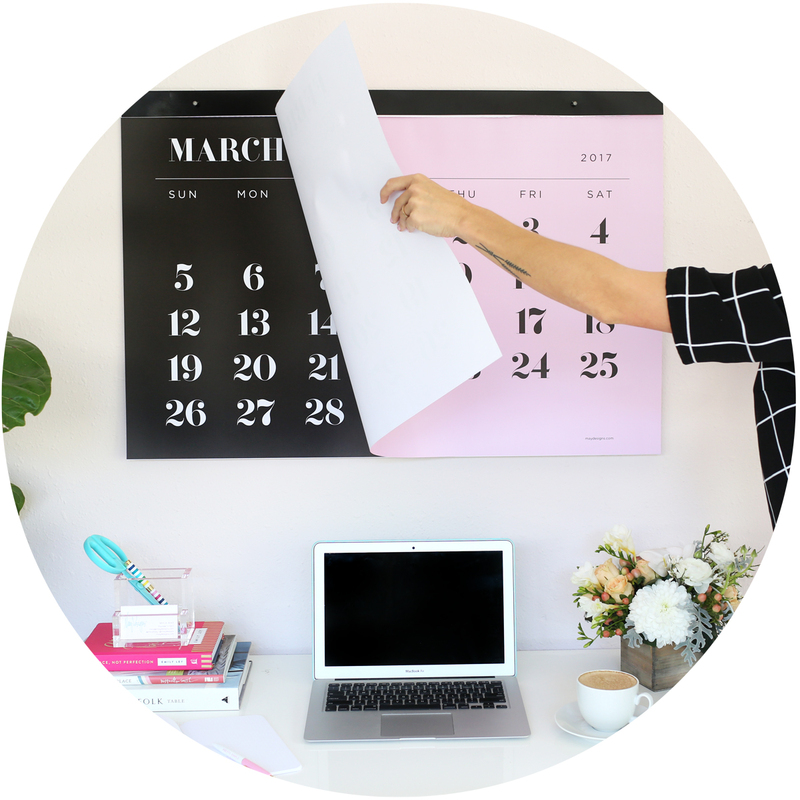 Each month has a different, fun greeting to get you started!